Un-finished Oak External Door . Part L compliant Warmer Door suitable for new builds. Four horizontal oak panels in an oak all round frame. Engineered, composite, warm solid core. Warmer Door – Part L Modica. 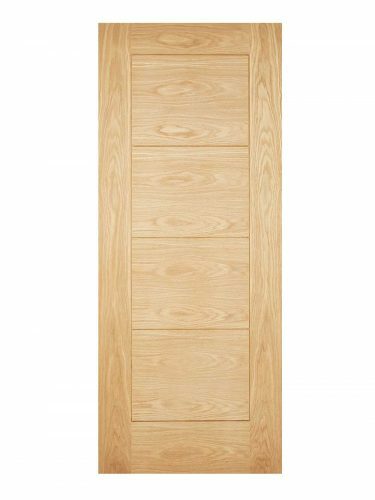 Simple and stylish, this door design has four horizontal panels in an oak frame. Part L compliant so perfect for new build projects.